From December 12th to 19th, 2017, the GSP coordinated an intense and inspiring delegation that visited 10 sites of struggle against the destruction of Mother Earth led by brave indigenous farmers. We also met with representatives from 9 other communities in resistance in Jalapa, Alta Verapaz and Baja Verapaz. This trip continues and deepens our solidarity relationships with communities resisting violent oppression from transnational companies and the Guatemalan state. 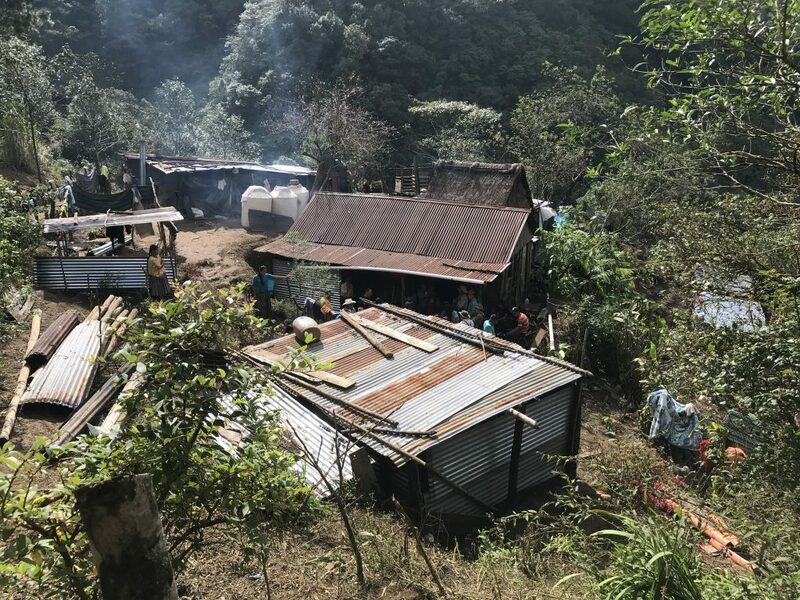 During our visit we witnessed the harsh reality of a recent violent eviction in La Cumbre, Tactic, which forced 25 families into a dire and precarious existence on a borrowed, muddy and steep mountainside. We also shared in the joy of children who will have a primary school in their community for the first time in 2018 thanks to GSP’s efforts. Throughout our trip, we did our best to encourage our partners, who received us with warmth, beans and thanks into their humble homes. We would be remiss if we didn’t share that thanks with all of you who support GSP. Our trip started with tears, as we had planned to visit Carlos Guitz in his home on Dec. 13th. The week before we traveled we received news that Carlos was in respiratory distress and in-and-out of consciousness. 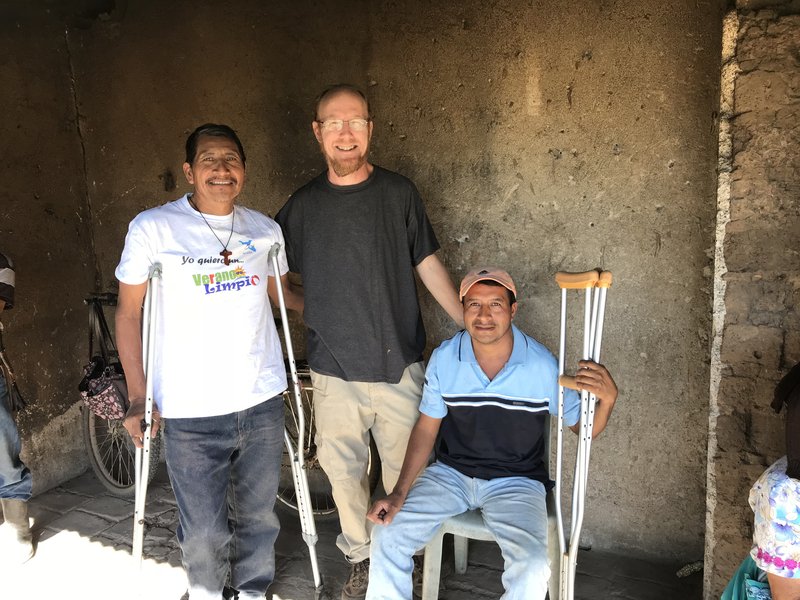 We – along with other organizations in the Coban-based Colectivo de Organizaciones del Norte – coordinated funds for his emergency transfer to a hospital in Coban and then to San Juan de Dios Hospital in Guatemala City, a Catholic hospital for the poor. We could not visit Carlos in Intensive Care but we did meet with 2 of his brothers who were staying at the Nuns’ lodging house next to the Hospital. We hoped beyond hope that antibiotics would clear his lungs and dialysis would give him a chance to keep fighting, but a few hours later, around 4 am on Wednesday, Dec. 13th, 2017 the bullet fired by Santa Rita Hydroelectric’s private army on Nov. 8, 2013 finally killed Carlos. We honor his memory and humbly hope to continue his struggle. 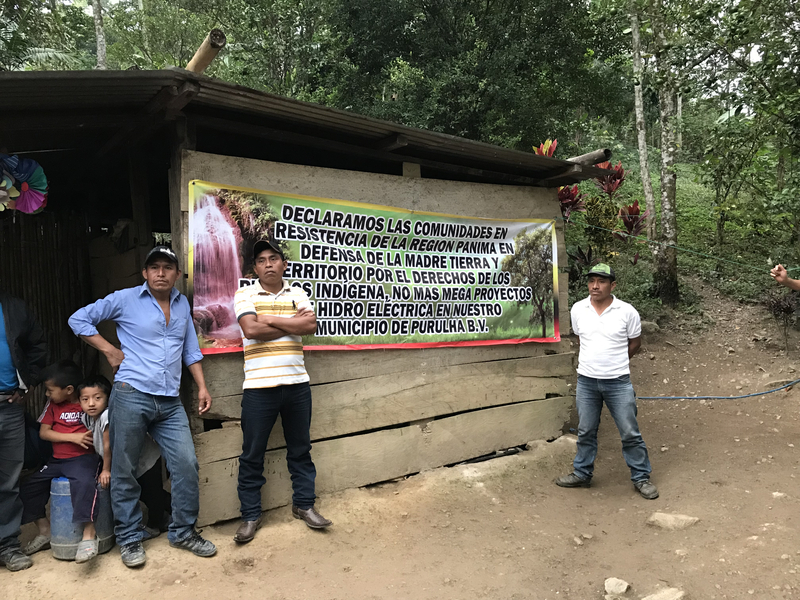 During our trip the communities we visited continued to emphasize two major themes – the Guatemalan state’s failure to provide education in their communities and the oppression resulting from government support of large landowners, hydroelectric projects and mining operations. This oppression has led to hundreds of fraudulent arrest warrants in the region as well as the arrest of community leaders who are frequently denied bail during their lengthy and delayed trials and subject to corruption in the court and public prosecutor’s offices. Another theme that our partner communities voice, which we hope to continue supporting in 2018, is that organization and unity within communities can lead to transformative change even in a country like Guatemala, which is controlled by international corporations and their puppet governments through the support of the national elite. Over the last 2 years of anti-corruption efforts these powers have become terrified of the increasingly educated and organized majority indigenous and population. When the ruling class is afraid, they demonstrate their power through direct violence, falsified arrests and illegal land seizures. The rest of this report discusses the communities we visited and how we are working to support their efforts to create a better world for their children. Thank you to all of the supporters who make the work of GSP possible including activist networks in Vermont, the Washington, DC region, Detroit and Nashville, our monthly Paypal donors who make possible regular direct support for political prisoners and others suffering the physical effects of state and paramilitary violence, previous and future delegation participants, and everyone else around the world who donates and supports our work. We also share the thanks from our partner communities. In turn, we thank our partner communities because it is their resistance that inspires our support. 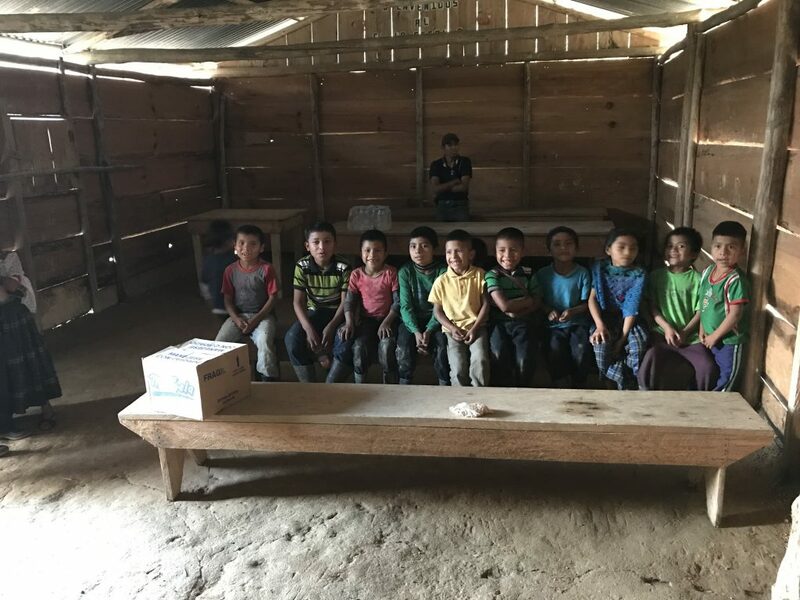 Following the lead of our partner communities, GSP is launching an ambitious, multi-year campaign to force the Guatemalan government to fulfill its legal obligation to provide primary school education. We have seen in the past that if the community builds a school building and pays for their own teacher, operates the school for a year and obtains a certification code from the Departmental Ministry of Education, the National government can be pressured into taking over the school in the second year. To that end we will be supporting the salary of two teachers, one in Secoyom outside of San Cristobal, Alta Verapaz, and one in Monte Blanco, Purulja. Both communities are extremely isolated – Secoyom on a 3000 meter mountain top only accessible by an hour-long hike up from the end of a dirt road, and Monte Blanco about 5 hours of dirt road from Purulja along the river leading to the Polochic Valley followed by a 45 minute hike up the valley. GSP will continue to provide support to other communities who are in the same process of seeking to establish formal education in their communities. This requires numerous trips to different offices and is frequently complicated by the lack of formal land title within communities, as the National Education Ministry uses the lack of title as a pretext for rejecting community requests. GSP accompanies this process and we will be sharing more about the success and challenges of our educational projects in 2018. While every community we visited is dealing with intimidation in one form or another, the violent evictions on November 1, 2017 at La Cumbre, Tactic stand out as brutal demonstrations of the power of landowners and the complicity of the government offices (Public Prosecutor, President´s Commission on Human Rights, etc.) that are supposed to protect citizens. The Army and Police arrived early in the morning and gave residents 45 minutes to pack any belongings they wanted to keep. The eviction was blatantly illegal for a number of reasons, including that there was no advance notice through the Human Rights office and that it was carried out on a holiday which is against the law. 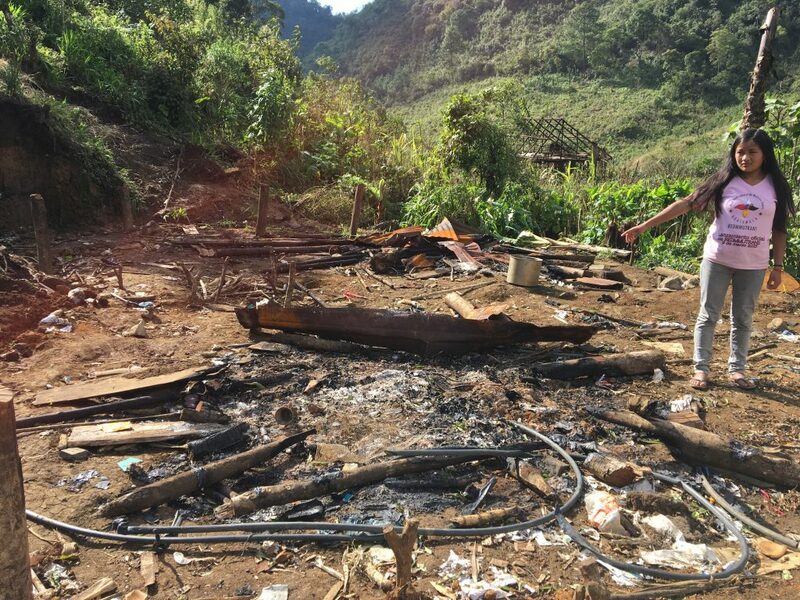 After 45 minutes the Army commenced burning down houses, all the while forcefully questioning people as to the whereabouts of community leaders with fraudulent arrest warrants who had fled into the mountains to avoid arrest. This eviction, along with another illegal eviction occurring in Chab´il Ch´ooch´, Izabal, have been condemned internationally as illegal by the Organization of American States and the Inter-American Court of Human Rights. The 25 displaced families initially set up a camp on a path near the community, but they have since moved a borrowed piece of land past the valley where the community used to be, on the back side of the same mountain. There they have constructed about 12 houses and a communal kitchen, but they don’t have any sewage and since they are still at high altitude everything is wet and muddy. They are also facing theft and intimidation from neighboring communities that are aligned with area “land owners.” As we were walking in, guided by a group of community members, we passed directly by a group of men chopping up and stealing the left-over wood from their communal meeting room which had been partially burned down. Women from the community walked up to the thieves, who were holding machetes and axes, and collected as much wood as they could carry before it was stolen. On our return out 2 hours later all of the wood had been stolen. They also reported that much of their crops – what wasn’t burnt or destroyed by the Army – had been stolen, including beans. Another severely disturbing intimidation attempt occurred the morning we visited. 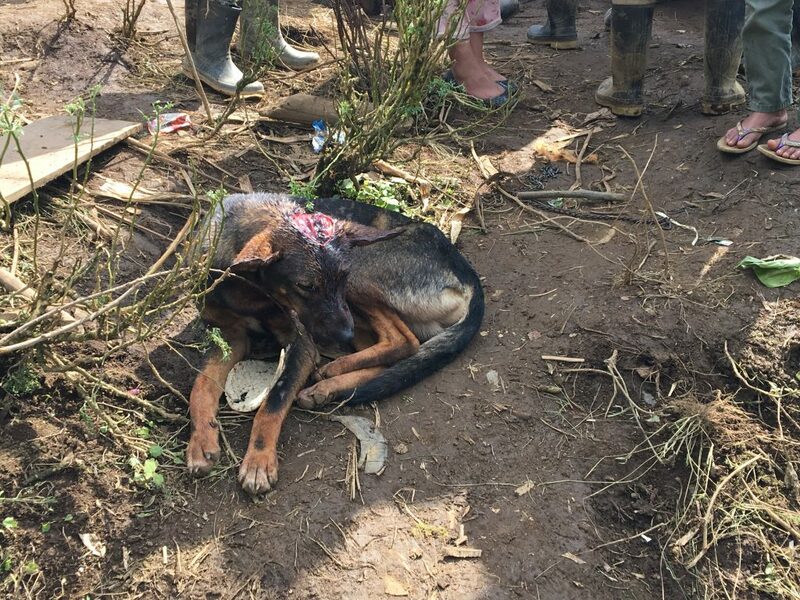 One of their dogs had been struck by an unknown assailant with a machete, opening up a 6-inch long gash, cracking the dog’s skull and exposing his brains. Amazingly the dog was still alive a few hours later but no one expected that to last. Community members expressed their fear because they know neighboring communities are taking advantage of their vulnerable state. We will be publishing video testimony soon about the situation in La Cumbre, and since the eviction we have been working with other regional organizations to send food and blankets. 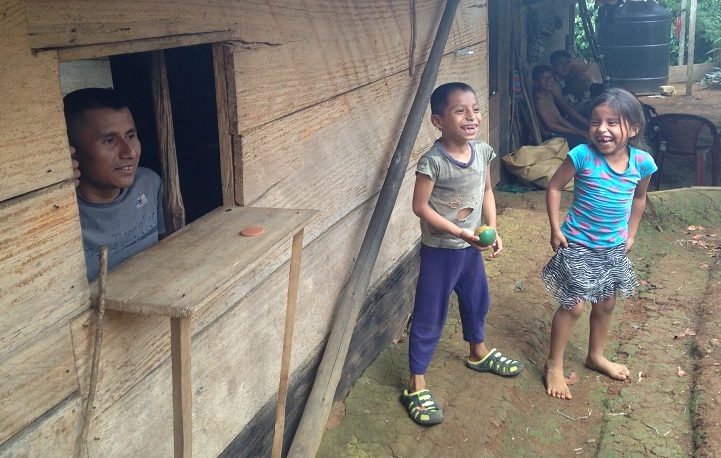 La Cumbre, like many other communities facing violence that we work with, is a village of former “mozos colonos.” These are families who were forced to live and work on plantations for generations without receiving any pay. More information about the history of La Cumbre and recent violent evictions of indigenous communities can be found here. Because of changes in the international economy, “land owners” often no longer need the indigenous labor and are using extreme violence to evict these communities and then extract natural resources from the land. Other communities face similar violence. 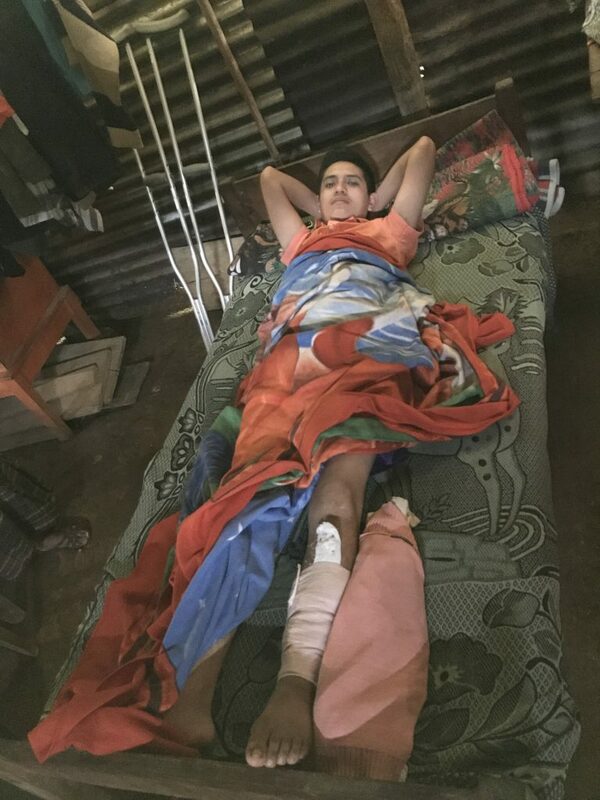 Close to Finca Bremen, a land conflict in Purulja, We met with Ruben Jor, a 23 year old father of a 1 ½ year old boy, who was shot in the left leg with a shotgun during an eviction on October 18th. This eviction was carried out not by the government but by a small private army hired by the supposed landowner. This group of armed, masked men entered the community at night and shot three people, including Ruben who is now missing a section of both bones in his leg several inches long and will require multiple surgeries. We also visited with two compañeros in the Panima Region who had just spent a week in jail after being arrested on false charges of stealing land. The real reason they were arrested was because of their nonviolent organizing in defense of indigenous rights and local ecosystems against the construction of enormous hydroelectric dams. These dams would flood indigenous lands and ravage local ecosystems in order to support multinational corporations and the building of a new international power grid. They continue to face trial but with the help of GSP and other organizations they were able to hire a lawyer and pressure for bond to be assigned, and they were able to get out after a week. We consider the criminalization of peasant leaders to be another form of direct violence and intimidation. With our partners in the region we always try and explain that we are not a traditional NGO or development agency with staff, corporate funding sources and large projects. Instead we seek to collaborate alongside communities and work with other local and regional organizations that seek to challenge the current system. One of the big obstacles to this work is how often powerful interests seek to divide communities in an attempt to break their resistance or use community members against each other in legal proceedings. In this context community unity becomes extremely important and part of the reason we continue to visit communities in difficult situations is to encourage community organization. 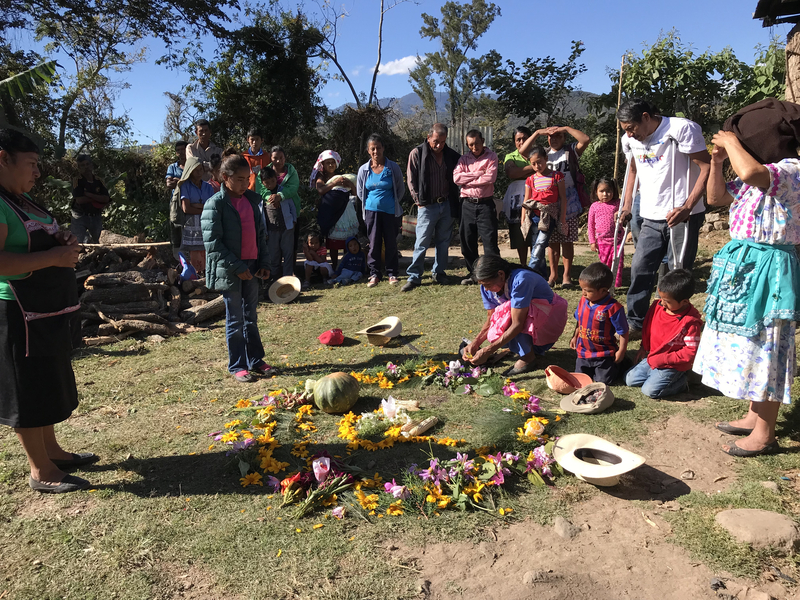 Over the last three years we have had the opportunity to support the struggle for land in the Santa Maria Xalapan area of Jalapa, which is home to around 70 different communities of indigenous Xinka. The Xinka story of resistance spans centuries, but the primary issue today is the recuperation of over 400 caballerias (over 40,000 acres, a very large amount of land!) which has been stolen by the Guatemalan government. This land was ceded to the Xinka by the Spanish crown centuries before the establishment of the Guatemalan nation, and in recent years the Xinka have organized to recuperate their historical lands and pressure the government to recognize their legitimate claim. We met with community leaders in the village of Los Izotes who are using communication media to continue organizing and build cultural unity. They already have a community television station (which is of course blocked in the nearby urban center of Jalapa since the cable companies are controlled by the powerful Estrada family) and are planning to expand into radio and develop their online media presence. The Xinka are also using modern organic agricultural as an organizing tool through agro-ecological practices such as hand-driven pumps, medicinal plants, fruit orchards, worm composting and more. These efforts are underway despite the lack of water in the region, a problem exacerbated by the nearby Escobal sliver mine, which is currently temporarily suspended from producing since the owners of the mine and local authorities failed to consult the indigenous peoples living in the area as required by law. Another example of Xinka organizing is the village of El Cuje, located just next to the municipal center. About 60 families occupied this land, an inoperative vegetable plantation, in 2015. Despite armed oppression over the last 3 years, their legitimate claim has been upheld by local courts and they have successfully started farming and are now thinking about school construction. Intimidation continues, as landowners in the area are also organized, and in October two communities leaders survived a murder attempt as a luxury pickup ran an intersection and struck the motorcycle on which they were riding. Both men suffered compound fractures in their legs, but their determination has not been broken. 1) Donate to our partners. 100% of donations to the GSP go to our partners. You can donate via our website or by writing a check out to “UPAVIM” and mailing it to UPAVIM, PO Box 63, Marshfield, VT 05658. We can only bring food and medicine to political prisoners, help build new schools, purchase medicine for community leaders injured in attacks and support other priorities set by our partners with your donations. We thank our fiscal sponsor UPAVIM Community Development Foundation for helping us ensure that your contributions are tax deductible in the US and that all funds (other than bank transaction fees) go to our partners in Guatemala. 2) Join our urgent action email list to receive updates and participate in ongoing actions. To join our urgent action list email info@guatemalasolidarityproject.org with “Add to urgent action list” in the subject line, and we will let you know of important actions to take immediately after emergencies such as the arrest of a community leader or an attack on a community.